01Sep2018August 31, 2019 12:00 am – September 1, 2019 4:00 pmJoin us Labor Day weekend (September 1 & 2) for a little friendly competition on the Umpqua River! More information and an updated registration form is now available. See below for the 2018 tournament rules. RULES: The rules of this tournament will remain unchanged. Interpretation of these rules shall be left to the tournament chairman. The decision of the tournament officials shall be final in any and all matters. SAFETY: Safe boating conduct must be obeyed by all tournament competitors at all times. Each competitor is requested to wear a Coast Guard approved vest at all times or at least when traversing white water. SPORTMANSHIP: Competitors are expected to follow the highest standards of sportsmanship, safety and conservation. 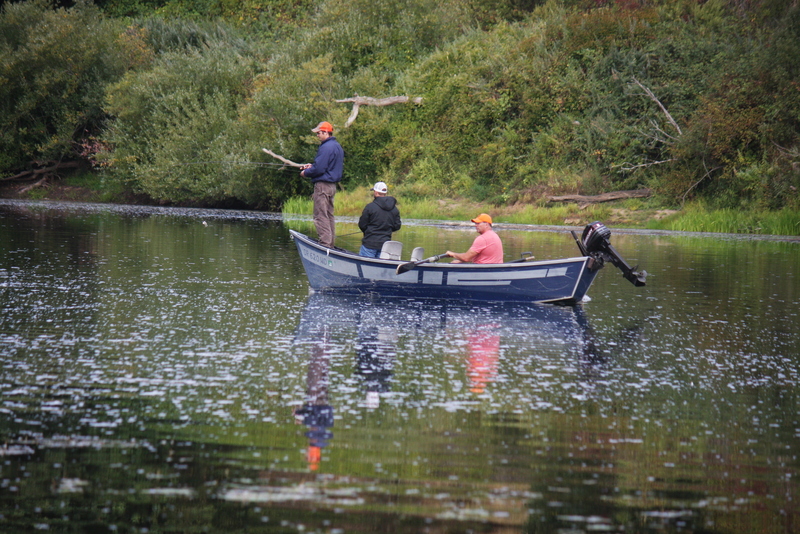 COURTESY: Maximum courtesy must be practiced at all times, especially with regard to boating and angling in the vicinity of non-competitors who may be using tournament waters. No alcoholic beverages, stimulants or depressants shall be allowed in the boat. ANY ACT of a competitor which reflects unfavorably upon this tournament and its participants, clean water and courtesy, efforts to promote fisheries conservation, will be reason for disqualification. Any infraction of these fundamental sporting principles may be cause for automatic disqualification from this and all future Fort Umpqua Days Bass Tournaments. TACKLE & EQUIPMENT: Only artificial lures may be used. No live bait will be permitted. No chumming allowed. Only one (1) rod per person at any time. BOAT & MOTOR: All boats must be equipped with required Coast Guard safety equipment. In addition, all boats must have a functional live well, properly aerated or an adequate portable battery-powered “fish saver” to maintain a limit catch of smallmouth bass. Each drift boat shall have three (3) fishermen. Electric motors & gas are permissible. Aerators are available for those who do not have one. WEIGH-IN: There shall be only one official weigh-in point, and this weigh-in point shall be designated at the tournament briefing. Starting numbers will be determined by a drawing the morning of the start of the tournament. SCORING: Scoring will be determined solely by the total weight of smallmouth bass. The limit shall be five (5) smallmouth bass per team. 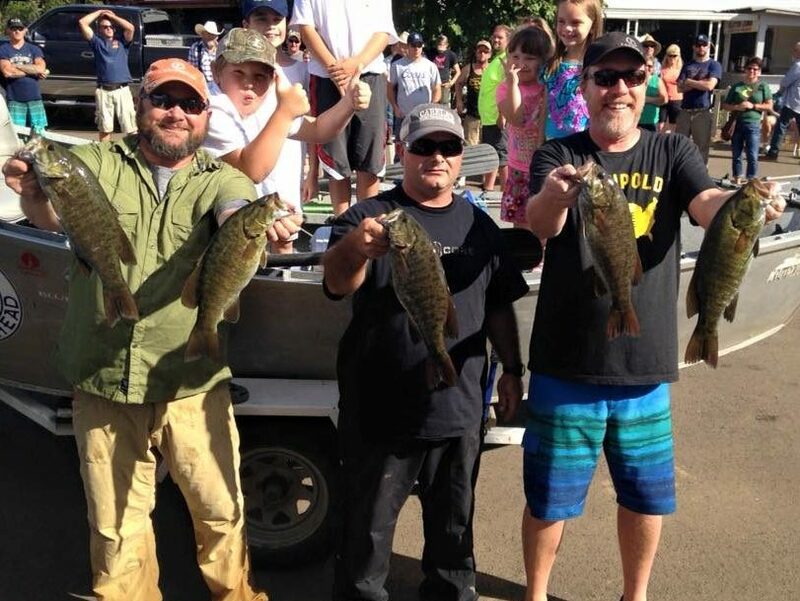 Five largest bass shall be presented at weigh-in. DON’T KILL YOUR FISH: Each competitor must make every effort to keep his fish alive. 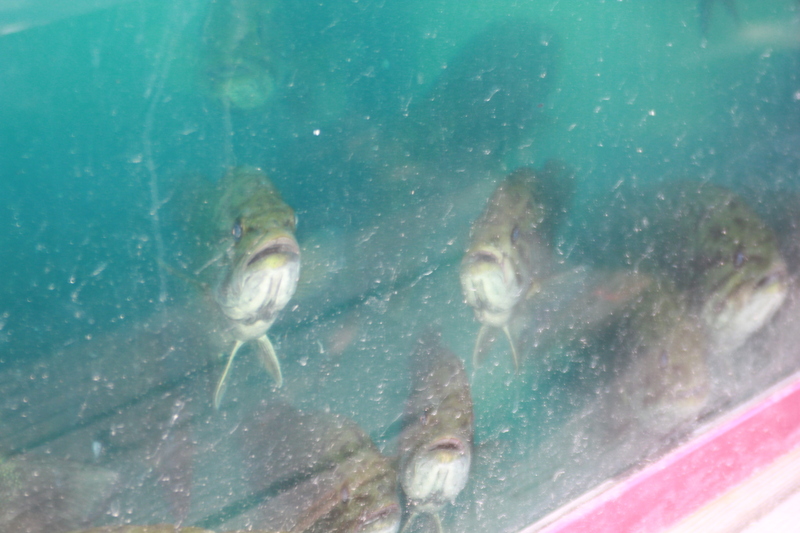 Eight ounces will be deducted for each dead fish presented at weigh-in. TIES: In the case of a tie, the largest smallmouth bass will win the place in question. A toss of the coin will resolve any yet unbroken ties. The next place will go to the team or individual so eliminated. PROTEST: Any contestant wishing to protest the score or conduct of a fellow contestant must do so within 15 minutes of the official weigh-in awards. LATE PENALTY: Teams that have not turned in their team number by weigh-in deadline will be disqualified. All boats shall be drift boat type or at least white water approved for safety concerns. Did you know you can adopt a butterfly in our flight room?